Keres, Smyslov, an Obscure Game and Other Matters. 1.e4, c5 2. 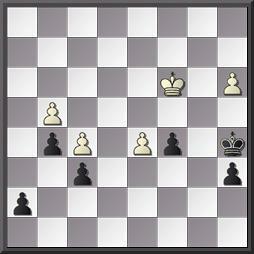 Nf3, a6 3. b4, cb 4. a3, c5 5. ed, Qxd5 6. ab, Bg4 7. Nc3, Qh5 8. Be2, e6 9. 0-0, Nf6 9. 0-0, Nf6 10. Ra5!, Nd5 11. h3!, Bxf3 12. Bxf3, Nxc3 13. dc, Qg6 14. Qd4,!, Qf6 15. Qc4, Nd7 16. 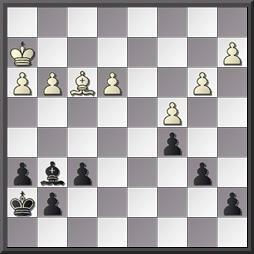 Bg5, Qg6 (16…, Ne5/ 17. Rxe5, Qxe5/ 18. Qc6!!) 17. Bb7, Rb8 18. Bc6, Be7 19. Bd7, Kd7 20. 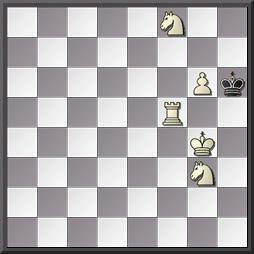 Rd1 Black resigned. Where do I get this game from?.- Well, this is a long story. During my Chess career I have had the opportunity to meet very interesting people from different countries. One of them was a man who was living in Spain (he sadly passed away around 1996). He had one of the largest Chess collections in Spain, with thousands of books, magazines, documents, etc. You could ask him whatever you needed: he would readily type the matter in question and send them to you. He loved Chess and he loved helping people too. His name was Mr. Cecilio Hernáez, lived in Vitoria , the Spanish Basque Country, and I feel obliged to pay this little homage to him. He invited me to help him doing translations from English to be published in Spanish-speaking magazines and I readily accepted (I can speak and translate several languages apart from English, namely French, Portuguese, Spanish,) . No matter what you asked him to find: you can be sure he would find it even if he had to spend days looking for it in his enormous collection. He was an exceptionally strong CC player too and a living encyclopaedia. Concerning the classics, there are two schools of thought : some people consider it a loss of time, some people use it to really learn how Chess has to be understood. Some players advocate the study of our contemporaries: Anand, Carlsen, Aronian, Shirov, Krammik, and so on. After all, theory has advanced a lot and they believe studying the classics is a waste of time: nobody can play like them because theory has changed drastically. Other people believe that by studying the classics you are not trying to study the latest cry in opening theory, but the way they think and so, how Chess should be understood. The third approach blends both points of view. Keres and Estonia, his native land, had bad luck (Spassky said publicly this too.) As a border-land, the Estonians were a country by themselves, were annexed by the former Soviet Union, invaded by the Nazi Germany , recovered by the Soviet Union and independent again. Keres was a Chess professional player and played in German tournaments during the Nazi atrocious regime. When WW2 finished, Estonia became a part of the Soviet Union, and he had to pay the toll of having played in Nazi territory… (see the above-mentioned posts). He began to play tournaments in the thirties (20th century), won the 1939 AVRO tournament so acquiring the right to play against Alekhine for the World Championship , something WW2 destroyed, but managed to survive the Stalinist period. In the Candidates’ matches which decided the Challenger to Petrosian´s title in the ’60s he lost to Spassky, who eventually became Champion of the World in 1969. A match Alekhine-Keres , like a match between Fischer and Karpov would have been two feast for millions of chessplayers throughout the world. But they never took place. In the time when CC was played using postcards and stamps, many of my opponents in the former Soviet Union and the DDR (East Germany), sent me lots of books (in Russian, German, Estonian, Czech, Hungarian, etc.) From time to time I like leafing through these books. One of them is a Russian edition featuring photographs only (99% is devoted to Karpov. The author was the famous photographer Dmitry Donskoi).